Oldfield Design Ltd have had the privilege of being asked to undertake various works on many historic buildings. Below are pictures of some of these buildings together with some brief details of their history and the work we were involved in. Hartington Hall is a much altered and extended 17th century manor house at Hartington, Derbyshire. 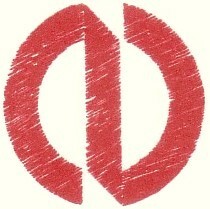 It is now a Youth Hostel Association (YHA) youth hostel. extension. The work was carried out by Henry Issac Stevens of Derby. The house is built to a 'H' plan; the main entrance frontage has three storeys and three gabled bays. 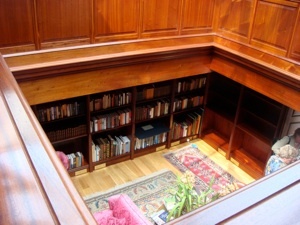 The central bay recessed with an off centre porch entrance. The dates of building and alterations are recorded on a lintel above the door. Today the buidling carries Grade II Listed status. 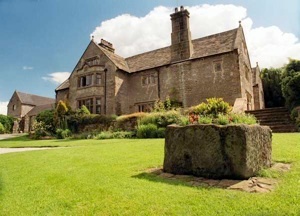 The house is the oldest, continually operating Youth Hostel in the Peak District and is the flagship hostel of the YHA. In recent years the property has undergone a £1.3million refurbishment programme. The hall is a modest but wholly delightful and important manor house, probably of the late 16th century. 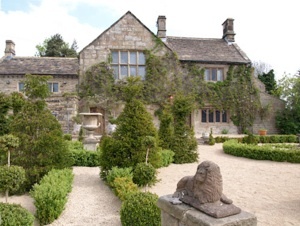 The hall is set in the breathtaking countryside above Hathersage. The house it irregular with a bold canted bay to the left of the southern frontage with a recessed bay to the right of it, breaking forward slightly. To the right the property ends with a remarkably plain, straight gable. 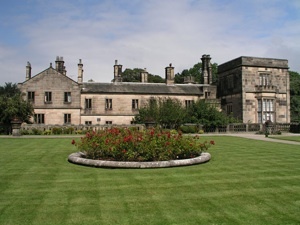 Stanton Hall is a privately owned country house at Stanton-in-Peak in the Derbyshire Peak District. 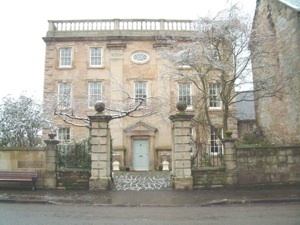 It is currently the home of the Davie-Thornhill family. The hall carries Grade II Listed status. The manor of Stanton was owned for two centuries by the Bache family, but passed to the Thornhill family by the 1696 marriage of Mary Pegge, heiress of the estate, to John Thornhill or Thornhill. The Thornhill family and their direct descendants are still in residence. The House has three principal building phases. with balcony over, all covered by a pediment. Bache Thornhill also created a deer park and ornamental gardens on the estate. Oldfield Design Ltd were commissioned to carry out alterations to the hall, including work on a William Morris decorated room. 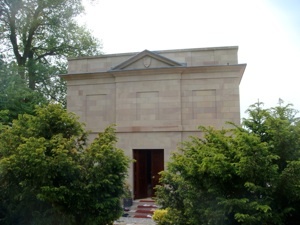 More recently Oldfield Design returned to design a detached library building (pictured) which was erected within the ground of the hall during 2004 and 2005. 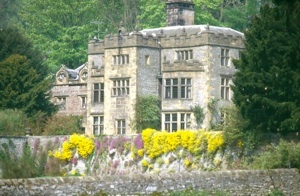 Holme Hall lies across the River Wye from Bakewell town centre and was listen in the Doomsday Book in 1086 as 'an outlier of the Kings manor of Bakewell'. The west frontage facing the river was formerly the entrance and is of three bays and two and a half storeys with a projecting porch, not blocked up and adapted. This, and the dressings elsewhere, are made up of Millstone Grit Sandstone. The south frontage is of four bays, being part ofthe main 1626 building which is constructed of roughly squared Carboniferous Limestone with Millstone Grit Sandstone dressings including quoins. Here there are three full storeys containing the state rooms of the property. mullioned windows which may, in origin, be earlier than the main part of the house, but perhaps re-built by Robert Eyre in 1658. Holme Hall has recently undergone a complete internal refurbishment, incorporating 21st century technologies. Oldfield Design Ltd has conducted survey work on the existing building. Winster Hall, built by Francis Moore in 1628, is the more important house on the north side of the main street. The Moore family rose from yeoman status in the 17th century to that of gentleman by about 1720, when they rebuilt the hall. 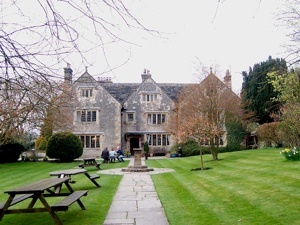 It became an inn in the 1970s but has now reverted to being a private dwelling. frames with keystones and there is a roundel in the centre frontage and a good doorway with columns either side, surmounted by an entablature. The hall stand back from the main street behind a sturdy pair of gate piers. 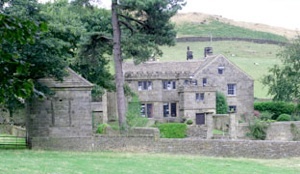 Gritstone, for the construction of the hall, was brought by pack-horses from the Stancliffe Quarries in nearby Darley Dale. Oldfield Design Ltd were employed to assist with alterations to the existing boundary wall. Harthill Hall is a Grade II Listed building situated in Alport near the town of Bakewell. At some point during the early 15th century the house was rebuilt in stone, probably around a courtyard. Around 1599 the house was sold to the Manners family and from this date it was reduced to a tenanted farm, being rebuilt accordingly. Hence it is irregular, of early 17th century date, with straight gables and originally had mullioned windows, of which one is also transomed. Others have been replaced by sashes. well have been adapted out of part of the original house and another barn which is thought to have been used as a chapel around 1259. 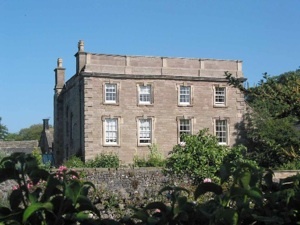 It seems the house remained in the Haddon Estate until the 20th century when it was sold. The outbuildings at Harthill Hall have undergone major restoration into holiday apartments. Oldfield Design Ltd undertook the work of converting the Listed outbuildings into a holiday complex. 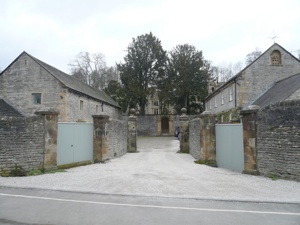 A Tudor mansion once stood on the site of Ilam Hall, the home of the Port family. It was sold to David Watts Pike in 1809 and remodelled by Jesse Watts Russell in 1821, the architect being one John Shaw. In 1875, Jesse Watts Russell died and the house passed to the Hanbury family, who sold it in 1927 to a restaurateur. When he went bankrupt, the building was sold to a domolition contractor, who promptly moved in and took down two thirds of the building. 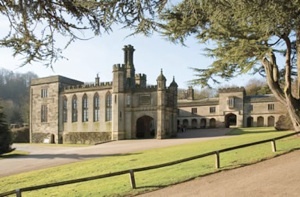 the National Trust now and the hall and grounds are used as a Youth Hostel, tearooms, shop, information centre, car park and toilets. What is left of the hall is still an imposing and stately structure, and in the gardens and parkland there is much to see. Oldfield Design Ltd carried out a 'quinquennial survey' for the YHA, and a sewage treatment plant for the YHA & National Trust which included an extensive archaeological study and excavation. 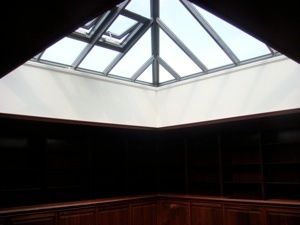 Various refurbishment work, alterations, survey work and conversions. New vehicular access, conversion of outbuildings to ancillary use.